Hot cocoa is the best on a cold and rainy day, and this last week the weather has been nothing but! I prefer extra chooclate in mine with miniature chocolate chips and chocolate syrup. 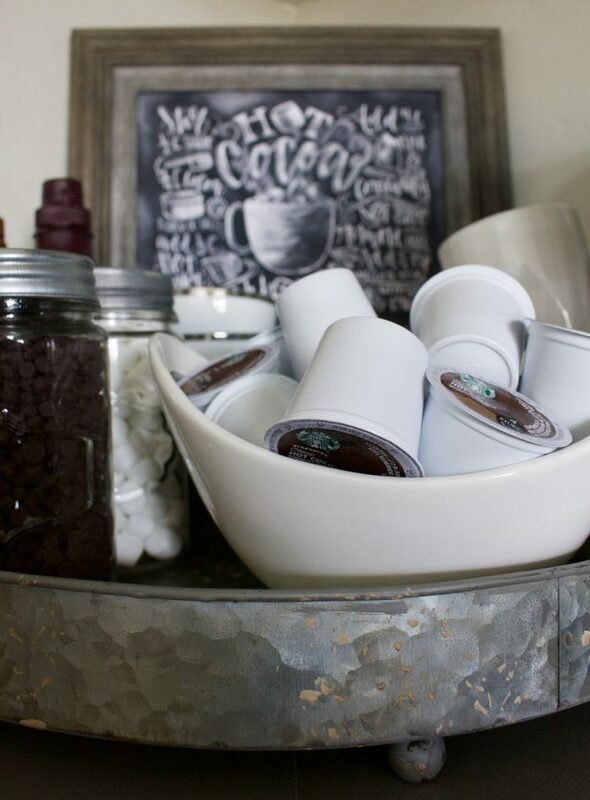 Last Christmas, I created my first hot cocoa bar, and vowed that I would have one every year. This year, I kept it simple and placed it back in the kitchen. 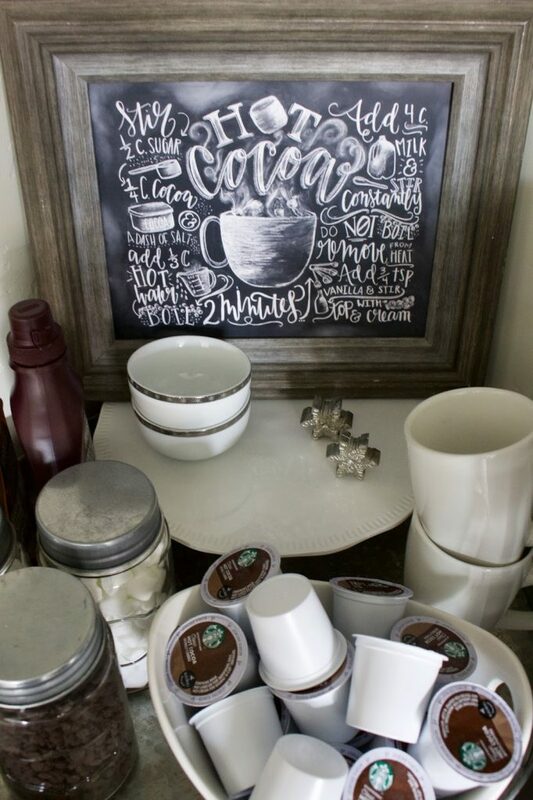 The hot cocoa print is from my friend Shannon at The White Lime. If you follow me on Instagram, we had a giveaway this weekend. I love Shannon’s work and she even has a collection of holiday boxes at TJ Maxx this year! I kept it simple with just the necessities – flavored syrups, marshmallows, and chocolate chips. 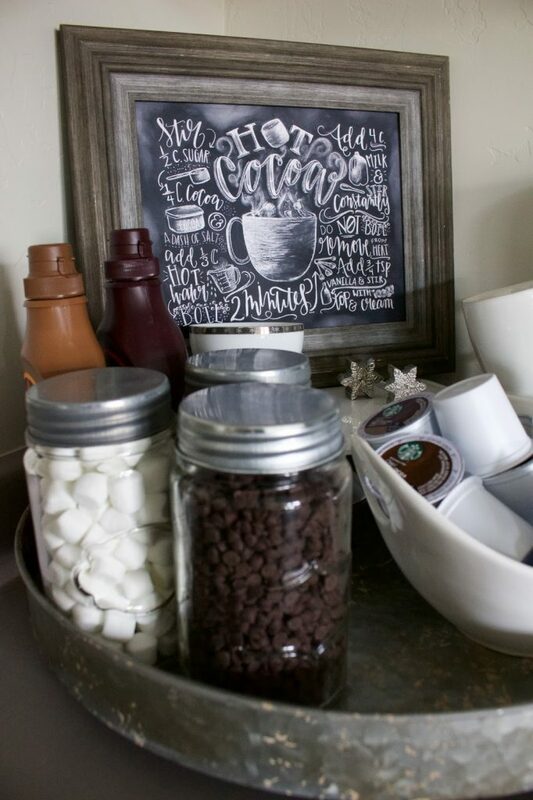 Jars from Target’s Dollar Spot are perfect for holding the marshmallows and chocolate chips and I had to have the Starbucks hot chocolate k-cups for my Keurig. Nothing better than having Starbucks at home! Do you have any traditions during the holiday season? 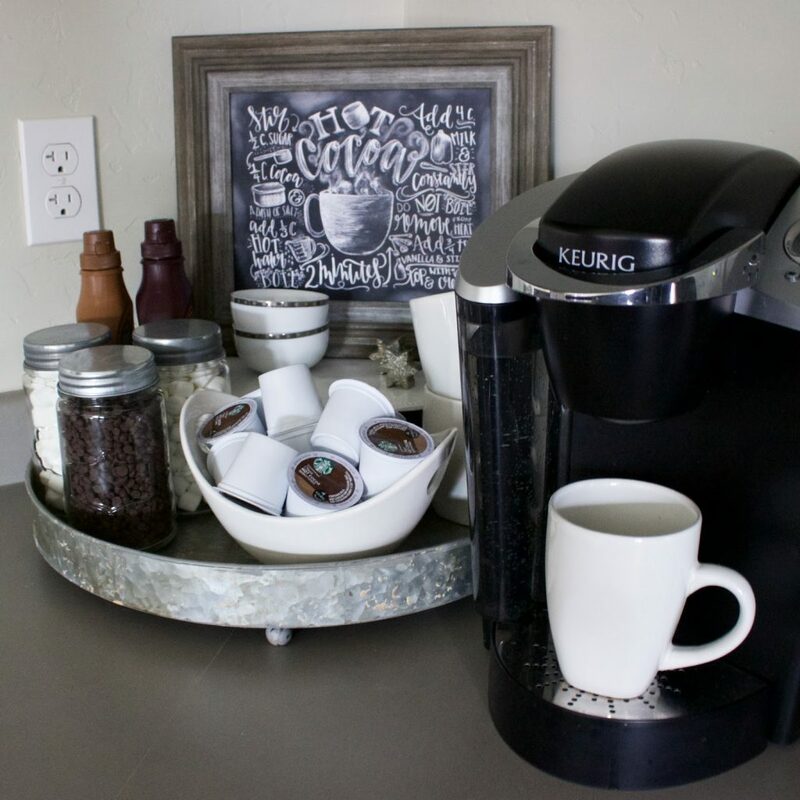 Are you a hot cocoa lover? Share with me!